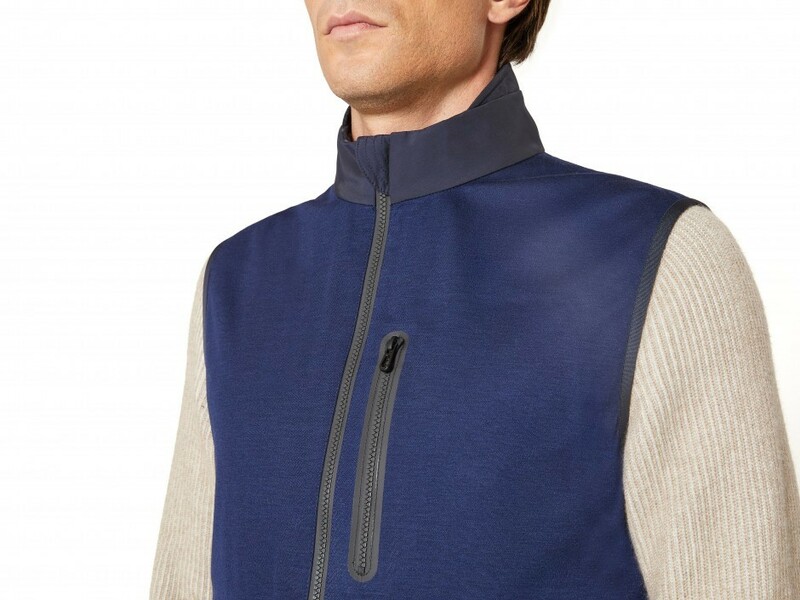 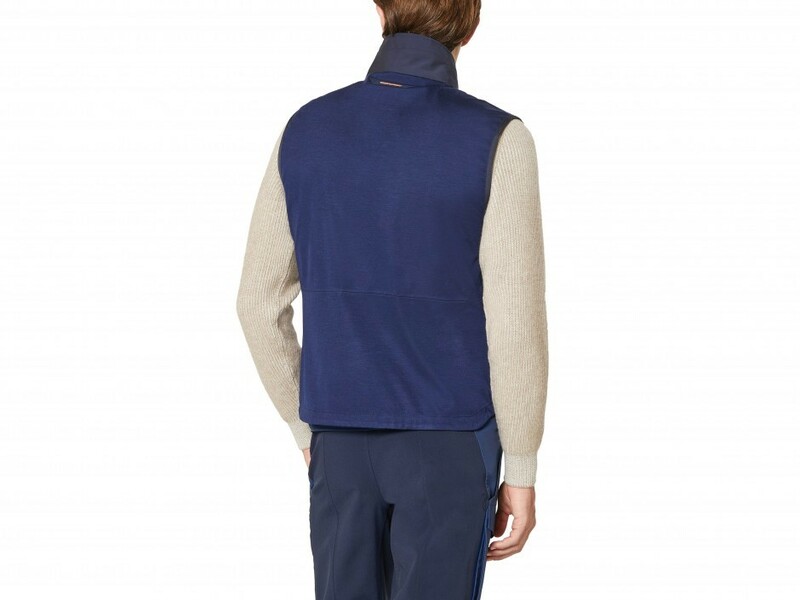 The V12 VEST is made in a laminated cashmere fabric treated with an innovative hydrophilic membrane. 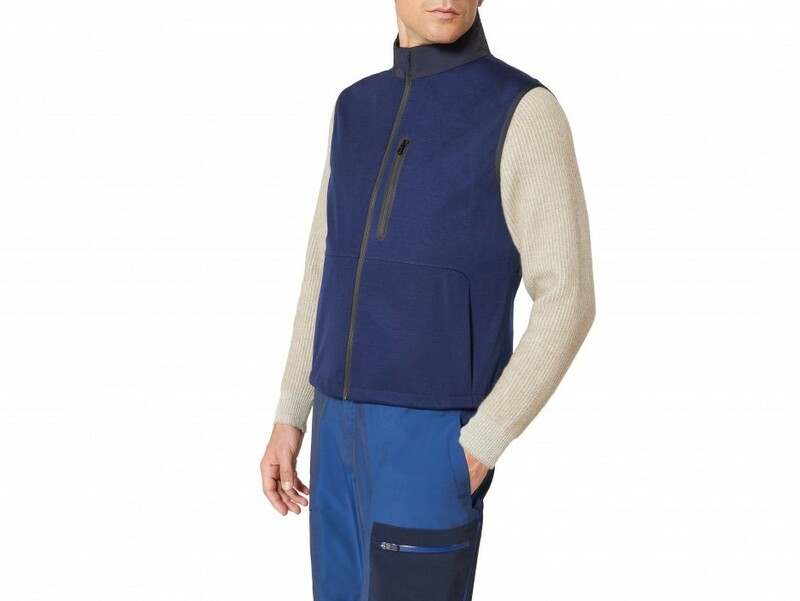 The vest is waterproof, breathable, seam sealed, and wind resistant. 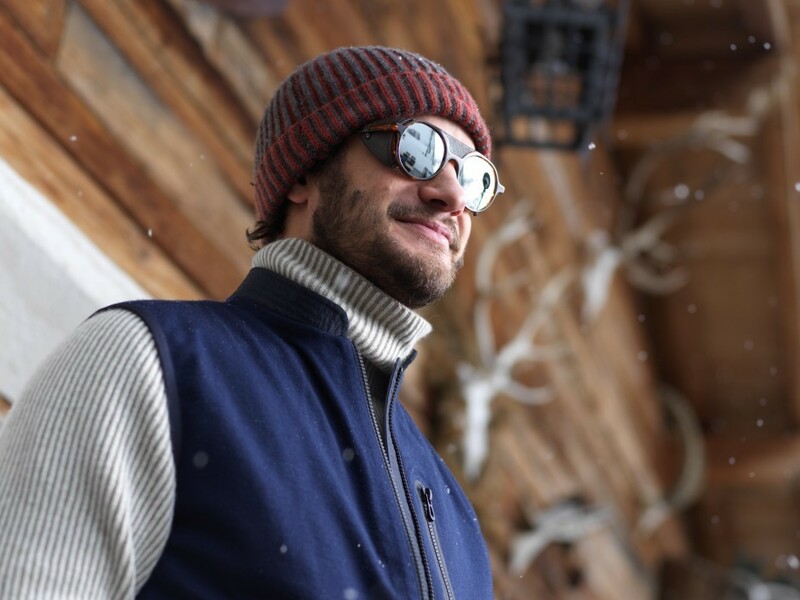 A soft moleskin collar for incredible comfort and warmth. 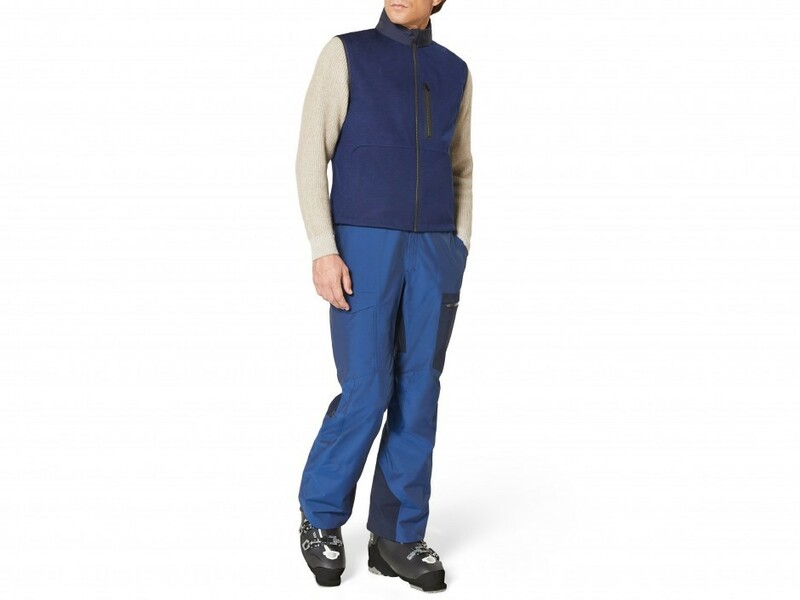 Weatherproof zip fastening in center front and three front pockets with zippers.